Home PE Real Life Temple Run in PE! Real Life Temple Run in PE! 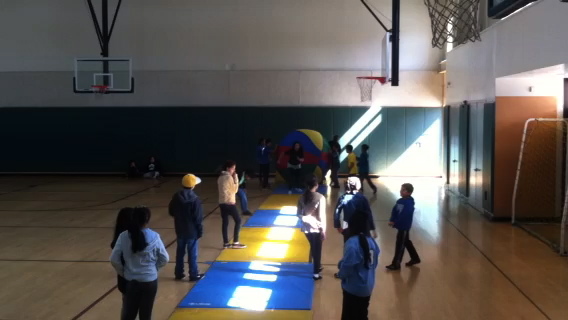 This week in PE, for 4th grade and up, we set up an obstacle course like the phone game Temple Run. Students ran down the length of the gym, dodging obstacles. Their classmates rolled a giant beach ball at them to simulate a boulder. At the end of their run, they needed to jump over a stacked mat that protected them from the boulder. The finish line was behind the stacked mat. There was a lot of excitement, laughing, and cheering. Click this video link too! Does she make it?!? !